Holocaust Survivors: Photo Gallery - "Reb Aharon of Belz"
Reb Aharon (center) was the son of the Belzer Rebbe who blessed Eva Galler, Reb Yissochor Dov. The Chasidic line is dynastic. 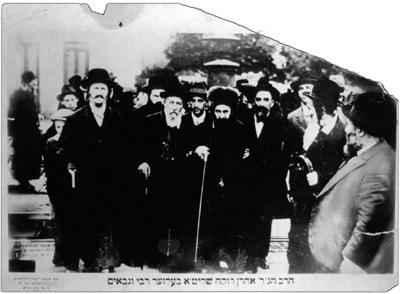 At the right of the photograph is Eva Galler's 2nd cousin, Shalom Vogel, who was Gabbi, or assistant, to the rabbi.